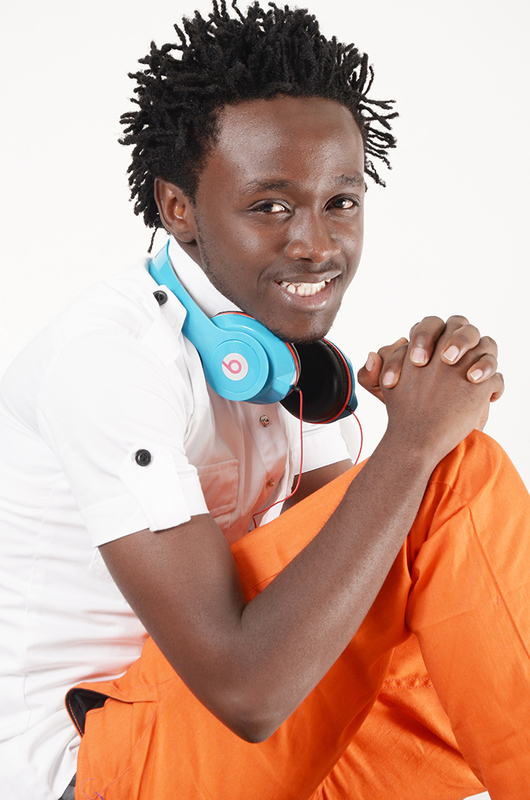 Born Kevin Kioko in 1992, Bahati is the hottest and most sought after Gospel artist to come out of Kenya. This young man is making serious waves in the gospel industry in Kenya, East Africa and the world at large. Bahati’s life story reminisces the dreams of any kid growing up in an unforgiving world and has nothing else but hopes and dreams. Orphaned at a young age, Bahati’s mum passed on when he was in nursery school. His well-to-do father then remarried and relocated. They never met for more than 8 years and during this time, his suffering led him to ABC Children’s Home,Mathare. While at the children home, a young passionate Bahati found solace in music. He made his entry into the arts through reciting Swahili poetry in school and church. In 2010, Bahati represented St. Teresa’s Boys Eastleigh in the Music Festival National competition in Nakuru where he played the guitar. In 2013, his musical journey kicked off with the release of his first single and video titled SIKU YA KWANZA. In this song, he talks about the first day he got saved. The song received considerable airplay. Bahati’s breakthrough came through when he won the coveted New Gospel artist of the year, Groove Awards 2013 in an event that was graced by President Uhuru Kenyatta and televised live to millions of viewers in Africa. Bahati followed up with WANGU, collaboration with Mr Seed. Soon after releasing ‘MAMA’ and topping the charts, Bahati felt inspired to sing about his life thus the song ‘MACHOZI’. The Video was shot in Mathare slums (where he lived before venturing into music), Bahati narrates his story alongside the onlookers most of whom he grew up with. He has a total of 7 awards in just less than a year which include New artist-Groove Awards 2013, Most Promising Artist-Mwafaka Awards 2013, Best Male Artist Coast Awards-2013 among others. He has won accolades worldwide and has been endorsed by nearly all industry players in East Africa.Some of the events Bahati has graced include: 2012 Groove Party at the Nyayo Stadium, Pamoja Peace Concert in Nakuru, Mwafaka Tour Nakuru Edition, Make it or Make launch at P.C.E.A St. Andrews, System Rave hosted by the System Unit, 2013 Groove Party and One Vibration experience among others. Some of his media interviews include:Crossover chart on NTV, Tukuza Show KTN, The trend NTV, AM LIVE,Morning Breakfast ONE Fm, ONE on ONE Citizen, Replay Show Truth Fm, Inuka Show Hot 96, Iz Vipi XL Radio Maisha, Changamka QFM, Klub Raha Qfm and many newspaper reviews. He is set to launch his debut album ‘Barua’ before the end of the year 2014. Bahati is also planning a Tour and a foundation to help needy and talented children in Africa.